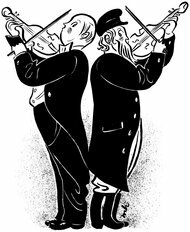 Bloomberg: Review of David Sarna's book "History of Greed"
Should we say kaddish for the New Yorker? Should we say kaddish for the New Yorker? Yes, judging from the article the magazine published today about its new iPad edition, we should say kaddish -- the prayer for the dead -- for this 20th century publication. Don't get me wrong. I think that the New Yorker is a literate, quality magazine. It just seems to us that they are so far out of touch with the real world of new media publications, that there is no hope they can survive without some real resuscitation. Here is the lamest article about a new digital edition that we ever read -- and we join the loud chorus of others who seem to agree. And yikes, the notion that we pay $40 a year for the print magazine and now need to pay another $400 a year for the digital edition -- well that is about as outrageous as it gets! "Beginning with this issue, that generalized instantaneousness has come: The New Yorker will be available on the Apple iPad, on Mondays, wherever you happen to be," we are told, without adding that each issue will cost you $5. Download the app, if you dare after reading all the pans that it got. Apparently hundreds of commentators agree that this is sheer nonsense. And then, in the lamest video of the decade, Jason Schwartzman demonstrates The New Yorker’s new app. I'm still upchucking at this attempt at humor. 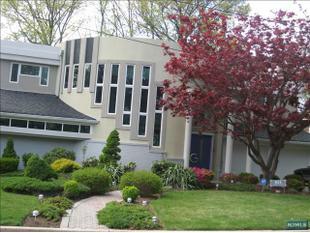 On the market -- the Amazing Gatling Home on Dover Court in Teaneck. The Times extolled this home in 2001, and now it is on the market for ~$1.3M. As an example of what amazing things iPad can do, Apple assembled an account of how this game-changing revolutionary tool helps archaeologists at Pompeii. It's just the beginning. iPad -- and its successors -- will change how we live, the quality of many of our activities and professions. Sukkot is called the festival of our happiness. We did have a happy holiday so far with our family and friends. On a related topic, analysts are pointing out that the Apple iPad device is producing happy users in record numbers. Apparently you can get satisfaction , if you’re the owner of an iPad that is. A report recently released by the American Customer Satisfaction Index shows that consumer satisfaction with personal computers is at an all time high, having grown 4% this year and now registering a 78 on the ASCI 100-point scale. Leading the pack for the seventh year in row, beloved fanboy brand Apple gains 2% to hit 86 points, its highest score ever and a full 9 points ahead of its competitors Dell, Acer and HP which all scored 77s. The secret of Apple’s success? CNBC delves deeper and reports that all this fuss is about the iPad. Yes, model Esther Petrack is a Jew from Brookline, MA. She was born in Jerusalem, brought up Orthodox and attended the Maimonides school. Esther, now all of 18, is a contestant on a TV show which up to now we have not seen, America's Next Top Model. Tyra Banks, a host on the show, put her on the spot, asking her if she would work on the Sabbath, if her competition required that. She said she would. An article on Tablet calls all of this a "Modern Orthodox Drama" and terms Esther's answer a "blow... to the Modern Orthodox experiment." And a rabbi in Israel chimes in to say it indicates, "a serious malaise in Modern Orthodoxy." He adds that it means the community has, "accepted the Western illusion that we can 'have it all.'" The rabbi cites my teacher Rabbi Joseph B. Soloveitchik, who preached that Orthodox Judaism demands of its members a "sacrificial and heroic existence." Let's not even start a debate over which is the illusion or who are the heroes. The occasional actions of individuals ought never be framed as challenges to a great and abiding religious system. Those decisions are indications that we Jews, like all other peoples are constituted of many kinds of people and personalities. To opine that conformity ought to be total is deliberately to ignore the record, from the ye olde bible, through the ages, and now to the Next Top Model. We think young Esther is no illusion; she is a vision. She is quite a super-hero and we applaud her efforts and her honesty, and we hope she wins. Yes, mezuzas are Jewish. Affixing a mezuza (aka mezuzah) to the doorpost of your house is a prominent commandment to the ancient Israelites in the bible, prominently specified in verses recited by Jews in the Shema prayer twice daily (e.g., Deut. 6:9). But the Times reports that plenty of non-Jewish people, especially in Brooklyn NY, inherit mezuzas when they move into their houses or apartments. ...But many gentiles choose to keep their piece of Judaica in place. Hat tip to Yochanan Hashlishi. If you think Diaspora is Jewish, i.e., a term that describes the dispersion of the Jews over millenia from the promised land, then you would be correct. On Thursday Diaspora, a social Web site that hopes to offer an alternative to Facebook, announced that its developers would be allowed to download the code used to build the new service and begin exploring and enhancing the Diaspora software. And now be prepared for a slew of reports on Mark Zuckerberg in advance of the release of the new film about him and Facebook called, The Social Network. The New Yorker has a report "Letter from Palo Alto, The Face of Facebook, Mark Zuckerberg opens up" by Jose Antonio Vargas, based on their research. Zuckerberg is not going to let a film define his public persona. He's doing interviews. Woody Allen is a great talented writer and film maker and a funny man. But he is no theologian. Q. But there’s an undercurrent, isn’t there, in the new movie – not of religion, but of spirituality and supernatural phenomenon? A. Well, I link them together. To me, there’s no real difference between a fortune teller or a fortune cookie and any of the organized religions. They’re all equally valid or invalid, really. And equally helpful. Woody's new film is, “You Will Meet a Tall Dark Stranger.” The trailer is here. The relationship between Jews and baseball is strong. When my dad was a rabbi in New York City in the fifties he was surprised when a congregant came up to him on the bimah early on Yom Kippur morning with a problem. "Rabbi, I need an earlier honor," he declared. The man had been asked to open the ark late in the morning during the Musaf service. My dad asssured him he would try to get him a recognition at another time slot. But he politely asked why the gentleman needed to switch. He told my dad proudly and without any hesitation, "I'm a big Yankees fan and I have tickets to the World Series at Yankee stadium where the game starts at 1:00 PM." 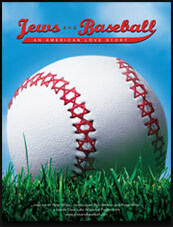 "Jews and Baseball: an American Love Story," is a new film out making the rounds at screenings and festivals. From the wonderful trailer we expect it will be an informative and moving film for any Jew who loves sports. No, according to an essay in the Times (Op-Ed Contributor, The Music You Won’t Hear on Rosh Hashana, By MILES HOFFMAN), music is not Jewish. An attractive and highly creative new Mahzor Lev Shalem (the prayer book for the High Holidays) is out this year. Judaica House in Teaneck tells us that it is the big best seller of the season. You can print these preview pages and use it in good health. The Bergen Record has a fine story about the Williams v. Peer match yesterday that also goes into the relationship between Venus and Shahar as two outstanding sports professionals. NEW YORK – Venus Williams, the only American woman left in the U.S. Open, had to work harder than most people expected over Labor Day weekend to stay in the tournament. With injured sister Serena watching in the Arthur Ashe Stadium stands, third-seeded Venus Williams overcame an unspectacular serve and a sometimes spectacular opponent to reach the quarterfinals with a 7-6 (7-3), 6-3 victory over Israeli Shahar Peer on Sunday afternoon. Williams had five double-faults and was broken three times by the 14th-seeded Peer. In the 12th game of the first set, Peer faced triple-set point. She saved all three and five total in the scintillating 22-point, eight-deuce game that ended with a Peer forehand winner down the line that forced the tiebreaker. Here is a video clip released for the holidays from the OU - Orthodox Union. What does the almighty need prayer for? Why did he tell man to pray? Not the Almighty, but man changes through prayer. God hearkens to prayer because there is a change in the identity of man. By praying man attains another identity. And by attaining a new identity the verdict is not applicable anymore to him. This is a wholly elliptical passage. We assumed that is was because it had been taken out of context. In its present gnomic form, it provoked us to ask these obvious questions. Who ever said that the Almighty needs prayer? When did God ever tell us to pray? We do believe that prayer can change God's decisions and actions, don't we? What does "change in identity of man" mean? What does "attaining a new identity" mean? Same as the above or another cryptic idea? Does "new" imply "improved"? We don't know if anyone else is listening. But we are because the Rav was our teacher and because we care about prayer, we take it seriously and we think and write about it a lot. This random assemblage of sentences did not sound to us like a paragraph that the Rav would have spoken in a public lecture. We asked Gil Student, managing editor of the OU Press, about this clip. First, we were told about the propriety of using the recording in an advertisement for a book, "It is appropriate to use a brief excerpt from the Rav to inform people about a forthcoming publication with more extensive treatment of the subject." And notice, he used the word "excerpt." It just did not sound to us like the Rav. We pressed and asked if they spliced and edited this clip. We were told, "Yes, we spliced it to create a coherent thought faithful to the Rav's intent that could serve as a soundbite." Rabbi Soloveitchik was a great rabbi, a scholar and a teacher. We do not think it is proper to splice together a passage out of context and throw the puzzling incoherent result up there on YouTube to help the OU sell a few books. Do you think it is possible that the Koran was actually written by Jews? Talmudic reaction: All scholarship ought to begin with the rigorous analytical phrase, "I would not be surprised if..."
Yes, Nikki Yanofsky is a Jew, according to the Jewish Tribune. She now attends St. George's School of Montreal, where she is in 10th grade. Born February 8, 1994, she is 16, and a truly remarkable Canadian jazz-pop prodigy from Hampstead, Quebec. We listened to her remarkable album, Nikki, several times, before looking up background information on this young musical wonder. Listening to her music, we had no clue that she was so young. We have not been a big jazz aficionado, until now. Nikki's voice and rhythm comes across with clarity, power and beauty. Wow, you owe it to yourself to buy the album Each track soars. Nikki's Myspace page is confusing but has links to her music and concerts. In one particularly intense, mature and serious stage, while I was on a sabbatical for six months from my teaching in 1978, I decided to try to pray at least one time in every one of the synagogues in Jerusalem, the most sacred city in Judaism. That capital city of Judaism has dozens of varieties of shuls for all kinds of worship styles of the various and sundry communities who live there side-by-side and mostly with mutual respect and at peace with one another. During that phase of my life I imagined in an especially colorful way that I was engaged in a quest for a perfect religious experience. I saw my professed search as a parallel to the one Bruce Brown cataloged in Endless Summer, his famous 1966 documentary film of two surfers, Michael Hynson and Robert August, on a quest for the perfect wave. That film documented the two boys’ search for simple perfection in their quasi-mystical sport. The movie site IMDB sums up the story of that film, "Brown follows two young surfers around the world in search of the perfect wave, and ends up finding quite a few in addition to some colorful local characters." Times: How did Jewish Actor Kirk Douglas Quit Smoking? On occasion, we suggest to people we know who smoke cigarettes, and sometimes even to random smoking strangers, that today is the perfect day to quit smoking cigarettes. If you do smoke cigarettes, please do quit today. My father, a Russian peasant, came to this country in 1910. Like all of his pals, he smoked. It's hard for me to picture my father without a cigarette in his mouth.